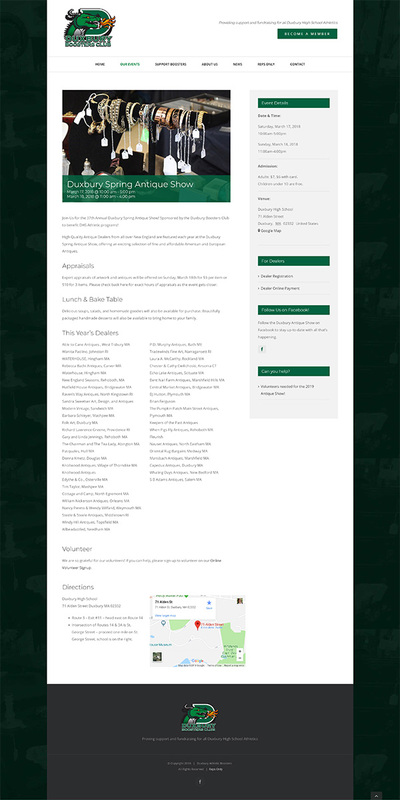 Duxbury Boosters had outgrown its old website. Not only was the design dated and hard to navigate, but it had grown difficult to make updates and changes to the website. 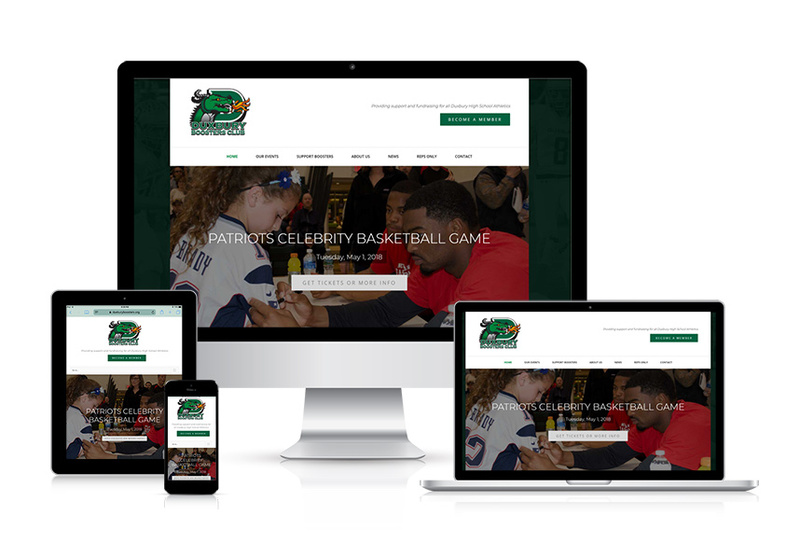 With a large and active membership, it was imperative for us to deliver a website that allows members, donors, volunteers and people attending Boosters events to easily find the information that they are looking for. In addition to doing that, we developed a website that can be updated and easily maintained well into the future.